Rachel is ACE certified. 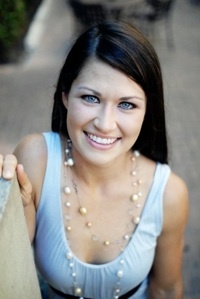 She has worked at various country clubs in Austin including Westwood and Lost Creek. For the past 5 years, she has been in private practice focusing on individual and group classes for women, including pre- and post-natal. She is a swim instructor and was a Master Swim Instructor at Westwood Country Club for 3 years. Rachel also conducts on-going classes geared for young children to get them to have fun outdoors (and exercise without realizing it!). Rachel believes that the body is meant to work as one unit. She trains the body in a manner that will perfect functional movement. She prefers working outdoors as much as possible, whether it is your backyard or a nearby park. She will help you achieve your fitness goals without the use of traditional weight machines, instead using your own body weight, medicine balls, resistance bands, and kettlebells.